Northbrook Court is undergoing major renovations to their 40-year-old shopping mall. The current anchor department store, Macy’s, will be demolished to make room for the Great Lawn, an open-air plaza as well as a high-end grocery store. 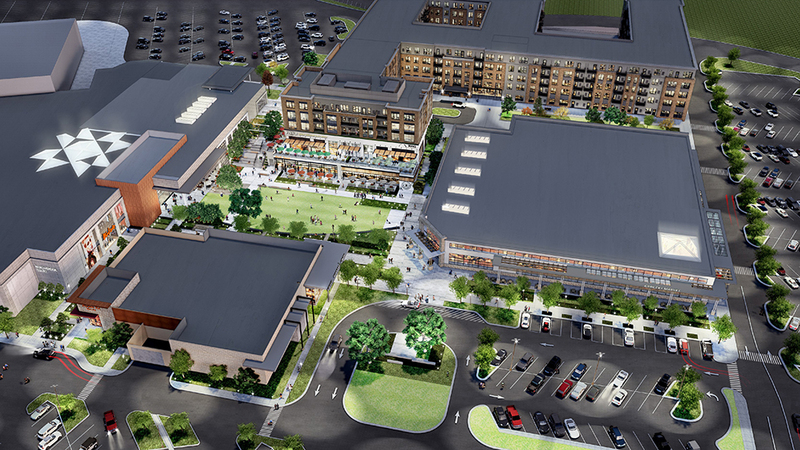 Overlooking the new Green Lawn will be 315 luxury multifamily units as well as several new restaurants and retail tenants. Underneath the residential units will be a parking deck that will hold 434 cars. Later phases include a full renovation of the mall interiors and entries.